Start a business or get a promotion. Exercise for an hour every day. Save for a six month emergency fund. If so, then you need to prioritize. Here's how. If you have several big goals, think about how accomplishing one goal will affect another. Will it help or hurt you to reach your other goals? For example, if one of your big goals is to lose weight and another is to bring your lunch to work every day, accomplishing the second goal will likely help you reach the first goal. So, you should prioritize the goal that will help you achieve a second goal. As you probably remember from the last time you were in bed with the flu for a week, you know that if you don't have your health, you don't have anything. So, a good way to prioritize is to prioritize the goals that will keep you healthy — eating well, exercising, sleeping more, taking time to relax, and giving up your vices. This will ensure that you have the energy to accomplish your other goals. 3. Ask Yourself: Will an Opportunity Pass If You Wait? Some goals also relate to opportunities we have in front of us right now. Perhaps your goal is to buy a house and the housing market in your area is particularly buyer friendly. Or you want to launch a business, but you're four months pregnant and know that you'll have little time after baby is born. Or imagine someone offers you discounted guitar lessons, and your goal is to learn the guitar this year. Move goals that have a limited timeframe available to the top of your priority list. 4. Ask Yourself: How Will This Affect My Happiness? 6. Ask Yourself: How Much Money Will It Cost? If you don't have the finances to afford a goal right now, it should clearly not be prioritized. But, if accomplishing a goal will lead to increased wealth, then make it a priority over those goals left on your list that won't lead to increased wealth. 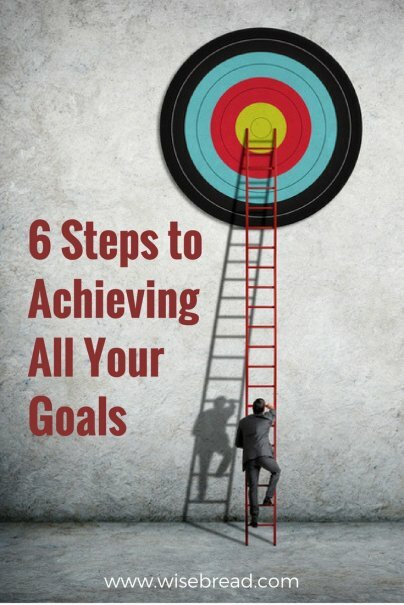 When you go through your list of goals and make the six determinations above, you'll be able to prioritize in a way that makes you best able to accomplish your goals in a way that leads to increased health, happiness, and wealth. How do you prioritize when you have several big goals?